Classic Awnings — distinctive traditional range of striped canvas, as well as solid colour canvas, which offers block-out protection of the sun and heat. 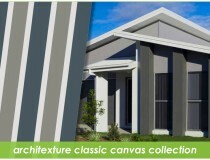 The Brella classic colour range is the widest available, and will suit any home. 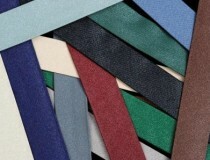 Bias Bindings — our binding tape perfectly matches our fabric range, because we make it, here in our factory. 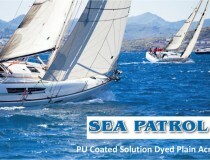 Sea Patrol — Acrylic fibre resistant to mould and bacteria, colour fast, breathable, stain repellent, ideal for marine applications. 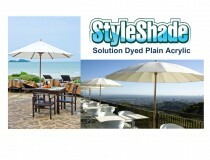 Styleshade — recommended for window awnings, light-weight structures, marine, outdoor furnishings, shade structures and outdoor umbrellas. 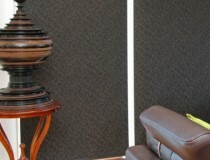 Annexe Walling — a lightweight caravan annexe fabric particularly suited to the walls of an annexe. 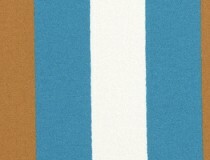 In our traditional stripe range and offers superior block-out and exceptional weight to strength characteristics. Annexe Roofing — we offer two weights of this plain dyed canvas fabric, it is water and rot resistant, designed and colour coordinated for use with our traditional Brella annexe walling fabric. Brella Jacquard — a stylish collection of roller, panel and vertical blind fabric in a range of colours. Brella Panache — a fashionable range of roller blind and vertical blind fabric in 20 colour and two width 3m and 2.6m. 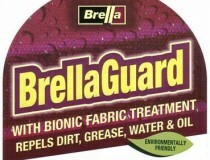 BrellaGuard® — a water based treatment that repels dirt, grease, water & oil on most textile products. Not recommended for use on vinyl, plastics, rubber or imitation suede. Brella Guard instructions (PDF download). Click on the product to see full fabrics range. We also produce a number of canvases under our Bradmill label. If you can’t find what you are looking for here, please try our Bradmill Outdoor Fabrics website.